The Royal Bournemouth Hospital (RBH) Cardiac Research Team has won an award for excellence in the delivery of commercial studies at the National Institute for Health Research’s (NIHR) Clinical Research Network Wessex Awards. The Clinical Research award celebrates the work of the team in the ‘Eliminate Atrial Fibrillation Study’, which compares the effect of two different drugs on patients undergoing a procedure to normalise their heart rhythm, and the ‘Radiance Hypertension Study’ for patients with high blood pressure. 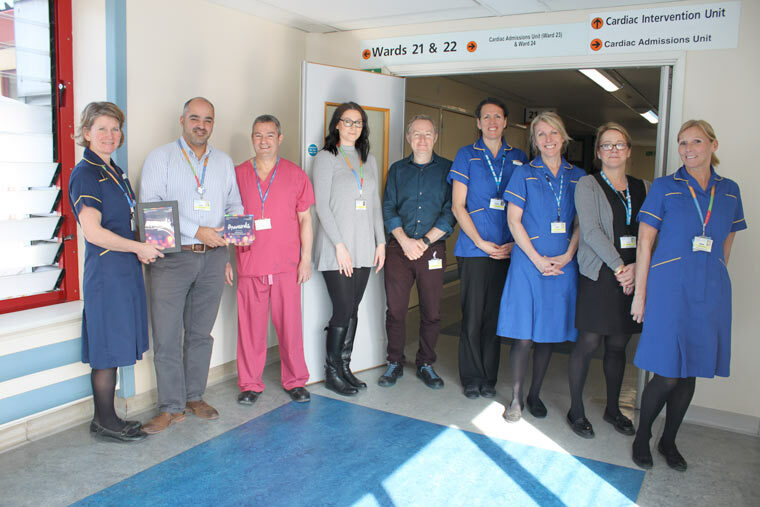 The team succeeded in recruiting the first patient in the world to take part in the Eliminate Atrial Fibrillation Study, which looks at the use of a new blood thinner to prevent blood clots and potential strokes in patients who have a history of irregular heart rhythms. They have now recruited five patients to the study, which could result in patients being prescribed Edoxaban rather than Warfarin in the future, due to its reliability and convenience. The Radiance Hypertension (high blood pressure) Study looks at how treating overactive nerves leading to the kidney affects high blood pressure. It is one of 40 studies being carried out by the hospital team, who were the first in Europe to recruit a patient to take part in it.